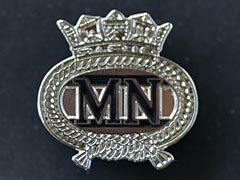 Merchant Navy lapel badge, MN, M.N. 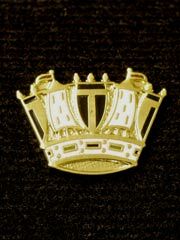 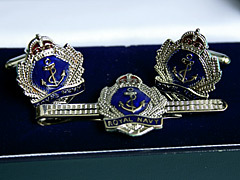 Boxed lapel pin badge for Royal Navy Coronet, with safety fastener. 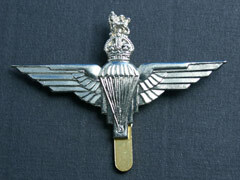 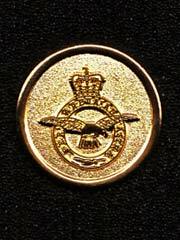 Royal Air Force all gold colour boxed pin badge, with safety fastener. 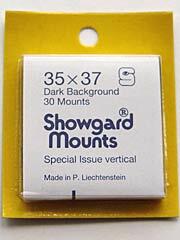 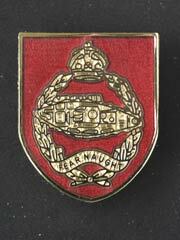 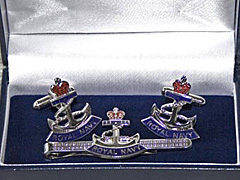 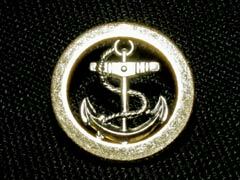 RN crown and anchor, all gold colour boxed pin badge, with safety fastener. 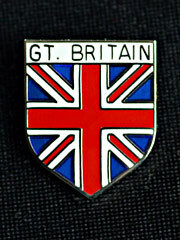 United Kingdom Union Jack lapel badge, GB, NI, Great Britain, British. 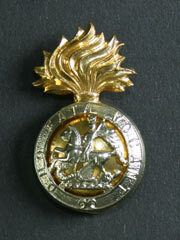 The Royal Scots Dragoon Guards (Carabiniers and Greys) (Scots DG) is a cavalry regiment of the British Army. 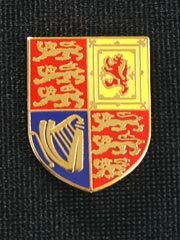 The Royal Coat of Arms of Great Britain and Northern Ireland. 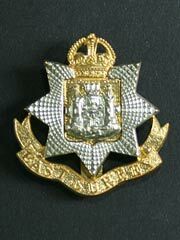 Design current since Queen Victoria. 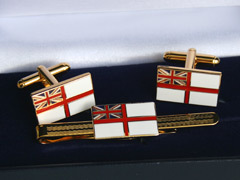 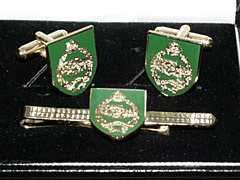 Cufflinks and tie pin (tie slide) boxed gift set for the Royal Navy with ensign flag design. 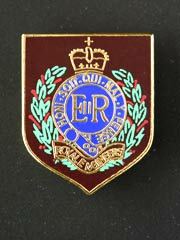 The East Surrey Regiment was a regiment in the British Army formed in 1881. 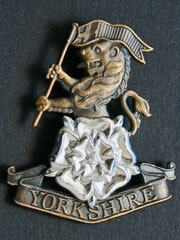 The Royal Northumberland Fusiliers was an infantry regiment of the British Army, originally raised in 1674. 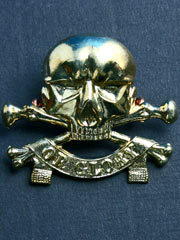 The 17th/21st Lancers was a cavalry regiment of the British Army from 1922 to 1993. 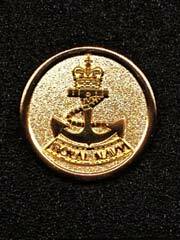 The Grenadier Guards is the most senior regiment of the Guards Division of the British Army, therefore the most senior regiment of infantry. 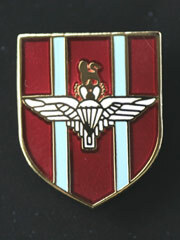 The Parachute Regiment is the Airborne Infantry, which is an elite element of the British Army, this is the Kings Crown version. 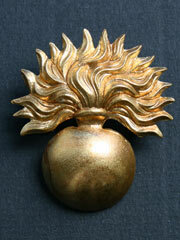 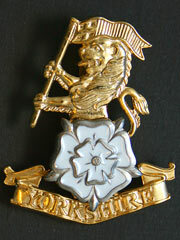 The Yorkshire Regiment (14th/15th, 19th and 33rd/76th Foot) is a large infantry regiment of the British Army. 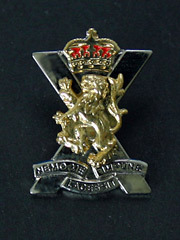 The Royal Regiment of Scotland is the senior and only Scottish line infantry regiment of the British Army Infantry. 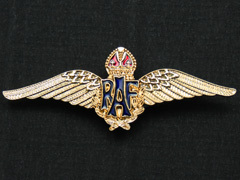 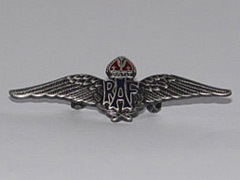 RAF wings lapel badge in gold, gilt type finish. 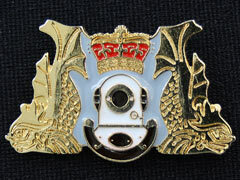 Enameled and Gilt, Cut out design divers lapel badge. 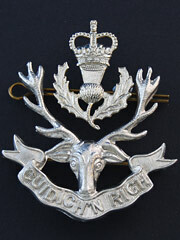 2 part cap badge set for the Queen's Own Highlanders (Seaforth and Camerons). 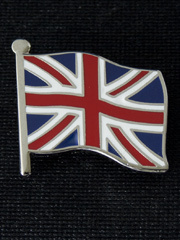 United Kingdom Union Jack, Flag style lapel badge, GB, Great Britain, Northern Ireland, UK.